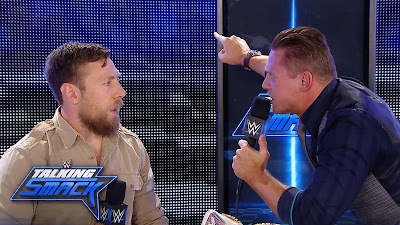 The recent war of words between SmackDown Live General Manager Daniel Bryan and Intercontinental Champion The Miz has been thought provoking. The confrontation started on a recent edition of Talking Smack. The Miz called out Bryan after the former Superstar insulted The Miz's "style" of wrestling. The tirade that followed forced Bryan to get up and leave the set. Since the incident there has been speculation that this is going to set up Bryan's return to the ring. I'll save my thoughts on that for another time, the focus of this post is about how many times the bad guys of the ring are right on the money with their comments. Miz told Bryan and the fans that he wrestles "soft" because he doesn't want to get hurt. He says over the course of his 10 year career he's never been out injured. Bryan of course was forced to retire recently at the age of 35. While it wasn't something I wanted to hear as a huge fan of Bryan's, the Miz really did hit the nail on the head with his statements. Bryan went balls to the wall during his time in the ring. That style ended up taking years off his career. Fans were entertained. We all cheered things like "This is awesome!" when watching Bryan in action. But the bottom line is that intense style took him out of the game way too early. Chalk one up for the Miz. I worry about others who wrestle that similar style and the longevity of their careers. 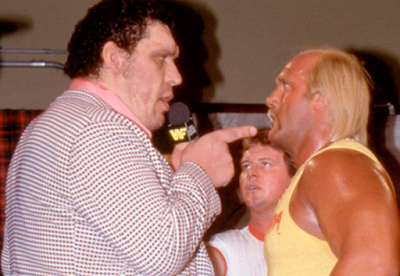 I was in the 8th grade when Andre the Giant turned against Hulk Hogan and demanded a match at WrestleMania III. Jesse Ventura was the one who motivated Andre to request the title match. At that time I thought it was the biggest act of blasphemy I'd seen in my short time as a wrestling fan. But as I got older I understood Andre's point of view. Just because he and Hogan were friends shouldn't have prevented him from having a championship match. After all, the Eighth Wonder of the World was undefeated. Hogan should have been happy to give his friend a shot. But when Hulkster refused, Andre had to get the help of Bobby Heenan to secure a championship match. These are just a few examples of when the bad guys had better judgment than their goody two-shoes counterparts. Who are your favorite bad guys who did the right thing?